A comic book based entertainment company controlling one of the world’s largest independent libraries of comic book characters. Rosenberg established Platinum Studios in 1997 following a successful, high-profile career as the founder of Malibu Comics, a leading independent comic book company that he sold to Marvel Comics (since acquired by The Walt Disney Company) in 1994, then becoming the second highest ranking executive at Marvel. During his time at Malibu Comics, Scott Mitchell Rosenberg’s company broke every sales and marketing record known to independent comic publishing, was the first to launch an entire comic book publishing line via television advertising and became the first line-wide digital comic publisher after innovatively adapting the Adobe Photoshop software for computer color production of comics. 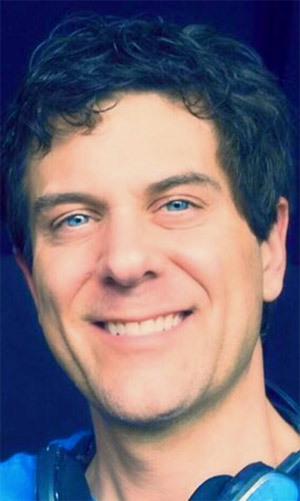 Scott Rosenberg and Malibu Comics have led many successful comic spin-offs into toys, television, and feature films, including signing the billion-dollar live action film and animated television phenomenon, “Men in Black”, with Sony Pictures, which has now generated over $1.6-billion in box office alone. Platinum Studios has been indirectly financed, in part, by royalties from the “Men in Black” franchise, including each of the “Men in Black” sequels and the multiple seasons of the animated series. 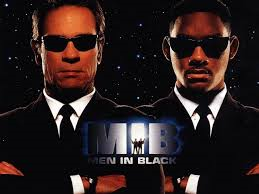 “Men in Black” is the number one domestic grossing buddy comedy, and the number one sci-fi comedy, of all time. Platinum Studios has released films and television programming with Universal Pictures, Paramount Pictures, DreamWorks Pictures, MGM Television, Showtime, and Lionsgate, and has developed film or television with others, including Disney, Time-Warner’s New Line Films, 20th Century Fox and Sony Pictures Entertainment. Thus far, Platinum Studios, whose comic book rights library contains other international comic characters as well, is the only company to produce an English language live action dramatic TV series based on a French or Belgian comic book. All other productions have been animated or comedic programming. Jeremiah, a 35-hour story, told in its entirety, has been on Showtime, Syfy Channel and broadcast television, and aired worldwide. 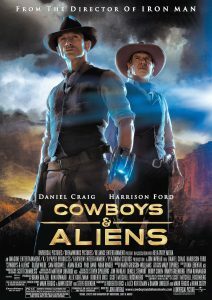 The $150 million dollar production of Cowboys & Aliens, also executive produced by Steven Spielberg is based on characters from Platinum’s library. Another film is “Dylan Dog: Dead Of Night” based on the 50 million selling comic book series, and looks to be a strong franchise as an Italian film series. Since that time, Rosenberg has been recognized as a pioneer and a leader in the comic book industry. He recognized that comics were on the verge of one of many revolutions that would allow opportunity for new, smaller publishers, and that the advent of the Macintosh computer (circa 1986) and other technological advances of that time would soon allow those smaller companies to look bigger, minimizing their costs and maximizing the quality of their output. In addition, Rosenberg worked with Adobe and their Photoshop software to develop the leading standard system for the computer coloring of comic books.